Find Apex, NC Condos for sale. View Photos, Maps and MLS Data Now! Bella Casa - Walk to 1 of the 3 community pools. MUST SEE! MLS#2249925. 1685. 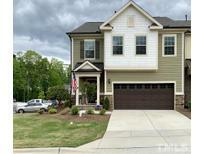 Scotts Mill - Three level open townhome with Guest ste down... this is our LAST building.. Don't wait! MLS#2249906. 2983. 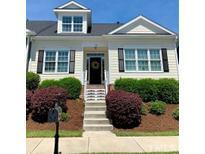 Scotts Mill - Come see our beautiful three story Baxter Townhome with guest ste down.. Open Floorplan, Lots of Included Features in GREAT Apex location! MLS#2249896. 2983. 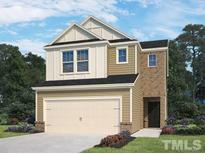 Scotts Mill - come before they're gone.. this is our last townhome building! MLS#2249905. 2983. Known for their energy-efficient features, our homes help you live a healthier and quieter lifestyle while saving thousands of dollars on utility bills. MLS#2249701. 3037. Known for their energy-efficient features, our homes help you live a healthier and quieter lifestyle while saving thousands of dollars on utility bills. MLS#2249696. 3037. 1 Car Garage, Patio in back; Upstairs has two spacious bedrooms & full bath; Walk in storage; HOA includes Pool! Run to this one! MLS#2249703. 2989. Known for their energy-efficient features, our homes help you live a healthier and quieter lifestyle while saving thousands of dollars on utility bills. MLS#2249709. 3037. Haddon Hall - Open and spacious floor layout, a lot of natural light. You must see this home! MLS#2249741. 683. 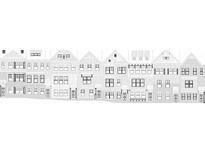 The Villages Of Apex - Just one visit to our community and you will not find a better all-around stylish and convenient location in Apex! MLS#2249462. 4356. Heatherwood Townhomes - Good sized bedrooms on second floor. MLS#2249418. 3152. Old Mill Village - Master Bath has dual vanity and tile surround walk in shower. Surround sound. Laundry closet. MLS#2249200. 4498. One of the most desirable locations in Apex with quick access to all the entertaining, shopping and parks. MLS#2248908. 2983. There are 2 additional Bedrooms, Loft and Laundry Room MLS#2248897. 2983. Minutes from Downtown Apex and Shopping. MLS#2248968. 1103. Edgewater - Easy commute to RTP, airport, and Raleigh. MLS#2248522. 1320. Stunning amenities coming soon featuring pool w/cabanas, clubhouse, community gardens, raised garden plots, playgrounds, small & large dog park, event lawn, picnic pavilions, exercise/obstacle course & more! Pictures are of similar home. MLS#2248336. 3789. This end unit townhouse features lots of windows as well as hardwoods throughout the main floor! Home will be completed July. MLS#2248288. 1565. 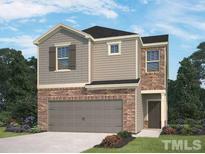 The home features granite counters, Stainless Steel appliances, & more! MLS#2248327. 3789. This end unit townhouse features lots of windows as well as hardwoods throughout the main floor! Home will be completed July. MLS#2248276. 1565. The oversized Owner’s Suite includes a large walk-in closet and sunroom as well as 3 bedrooms, Hardwoods throughout the main floor! Home will be completed May. MLS#2248345. 1565. The oversized Owner’s Suite includes a large walk-in closet and garden tub & shower as well as 3 bedrooms, Hardwoods throughout the main floor! Home will be completed May. MLS#2248299. 1565. Pemberley - Be sure to check out the pool and playground in this charming subdivision. Easy access to ANYWHERE! MLS#2248018. 1409.